Skate NI is the governing body for Ice Skating. This covers Figure Skating, Ice Dance and Pairs Skating in Northern Ireland. Figure Skating tests a skaters control and balance. With its graceful beauty and creativity it could be described by its audiences as a performing art. However figure skating has been a competitive sport for over a hundred years. Northern Ireland Figure Skating Competition Results. Pairs skating tests a skaters control and balance. 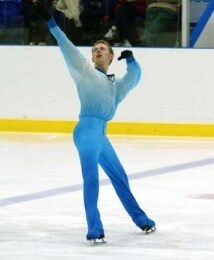 Figure Skating, Pairs Skating and Ice Dance share the beauty and creativity of the sport and is described by audiences as a performing art. Pairs skating involves two skaters performing as difficult a routine as possible including lifts, jumps, spins, throw jumps, pivots, death spiral and other known pair skating moves. Tameron Drake and Edward Alton were members of the British Squad for 7 years and represented Great Britain Internationally. They participated in British Championships and were the British Novice and Primary Champions and silver medallists at Junior level. They won many awards during their competitive skating years. Tameron and Edward have now stopped competitive pairs skating.